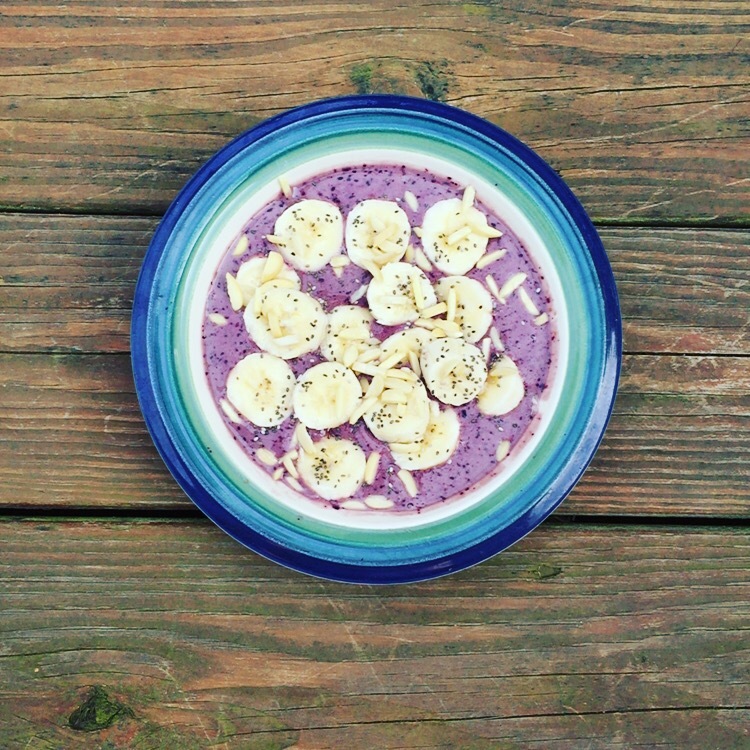 Today I’m sharing a recipe that you can customize for a nutritious, fun breakfast. As I have mentioned, I really love making Green Smoothies for snacks, breakfasts, lunches, or even dinner on those busy nights filled with activities. Well, have you ever thought of adding toppings to your smoothie and serving it in a bowl with a spoon? If not, I think you’ll love this recipe. Add all ingredients with the exception of your toppings to your blender and blend. Pour into a bowl, add toppings (I like banana slices, chia seeds, and slivered almonds) and serve. Yum!